Bookmarks haven’t gone out of style even in the age of digital reading. 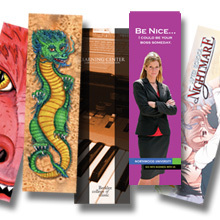 You can still make an impact on readers with your customized bookmarks created by Copy4Less. Each bookmark you create should have a unique design that gets your message across. It’s a challenge to be unique in New York, but that’s why Copy4Less offers unique designs both online and in-store. Our design artists are happy to sit down with you and discuss your design so you can be sure it comes out perfectly. Our printing specialists are always happy to go over the pricing and fees for your print job. We have the best bookmark printing services in New York City. Bookmark printing jobs are unique and challenging in their own right. We ensure that your bookmarks come out well and are on high-quality paper and with time-lasting ink and design. With Copy4Less, we ensure that your materials are long-lasting and high quality. With options such as gloss, matte, uncoated, and spot UV materials, we make sure that your bookmarks stand out and last the test of time. These materials are always prepared and we make sure that your design goes onto the paper perfectly. Each bookmark is unique in its own right. Your design is unique to you and your message, while the materials, colors, design, and other components are unique to Copy4Less. In New York, it can be difficult to find a printing company with a wide variety of services, but our stationery services include bookmarks, logos, images, foil stamping, and embossing. We can create custom notepads and custom hang tags to help you further promote your message. Using bookmarks as a marketing tool is not new; however, the quality you can use today far outperforms those used in the past. They have been used for many years, not only to mark a place in a book, but to remind your customers about your services. 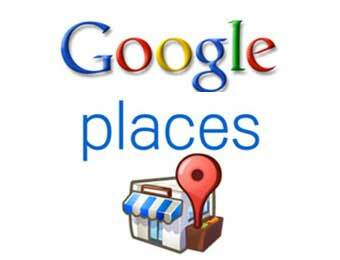 They are one of the items most used by people because everyone reads and wants to mark their place. Using a bookmark made by Copy4LessNY printing will have customers coming back for your services. Our bookmark are professional, the perfect size for any reading material, and the design will be remembered by your customers. They are 14 pt. durable cardstock and to help us and you with our green environmental efforts, we have 13 pt. recycled paper cardstock. You can’t go wrong showing your customers you care about our world. There are many layouts you can use. We’ll help you design the best bookmark for your customer and you. Marketing with a bookmark is a sure way to bring in repeat customers. Every time they use their bookmark, they will remember you and your services. You can even inlay a coupon or discount they can use every time they bring in their bookmark. Don’t forget to insert custom bookmark printing in your marketing plan to bring in new customers and keep your existing customers happy. Your message is important to us. That’s why we make sure our turnaround rates are faster than other companies. After the design of your bookmarks is created, we print them, and make sure they’re up to our quality standards. Because we offer 100% customer satisfaction, we will go over the design and first few prints with you in-office so you’re completely assured of our quality standards. After they’re all printed, we will send them to you. They should arrive at your location within three days, ensuring that you can get out there in the world with your message at a rate as fast as a New York train. Because life moves so quickly out here, we thought we should, too. Copy4Less doesn’t just stop at 100% customer satisfaction, we actually guarantee it. If you’re not satisfied with your product, we will redo the design, printing, and shipping process on our own dollar. Every step of the process is dictated and controlled by you, which helps you know that your product will come out perfectly. We are one of the best bookmark printing services in NYC, and that’s because our customers love what we do. Unique designs, high-quality materials, long-lasting products, and a quick turnaround rate is just what you need. Contact us today for a free print estimation and your first design.